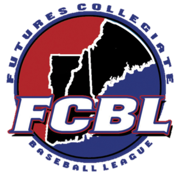 Chelmsford, MA – The Futures Collegiate Baseball League has released its complete schedule for the 2019 season. The League’s ninth season will open on Wednesday, May 29, 2019. This summer, the League will welcome its 2,000,000th fan since the League was founded in 2011. The 2019 schedule features seven teams including the 2018 Co-Champion Worcester Bravehearts along with the Nashua Silver Knights, North Shore Navigators, Brockton Rox, Bristol Blues, Pittsfield Suns, and an expansion franchise in Westfield, MA. The Westfield team will formally announce their name and logo in late February 2019. The Martha’s Vineyard Sharks are no longer a member of the Futures League. The playoffs will feature six teams in a three-round format. The first and second place teams will each have a bye in round one. The next four teams with the best overall records will play in winnertake-all play-in games. The play-in games will feature the #3 vs. #6 seed and the #4 vs. #5 seed. Teams will be seeded 1 through 6 based on overall records. Round two will feature a 3-game series between the league’s #1 seed and the lowest remaining seed from round one, while the league’s #2 seed will match up against the highest remaining seed from round one. The Futures League championship will be determined by a final 3-game series between the two winners of the semi-final round. On July 16, the Pittsfield Suns will host the 8th Annual Futures League All-Star Game at Historic Wahconah Park in Pittsfield, MA. This will be the second time the Pittsfield Suns host the League All-Star Game as they hosted the League’s mid-summer tilt back in 2013. "The Futures League far and away runs the best Scout Day and All-Star Game in the country,” said one Major League Scout. “I always look forward to attending their All-Star Games." To view the complete 2019 League schedule, visit www.TheFuturesLeague.com. Since 2011, the Futures League has become one of the top summer collegiate leagues in the country. This rapid rise to the top is thanks in large part to the League’s well-capitalized ownership groups featuring franchises with outstanding facilities in supportive and strong baseball communities. In addition, the Futures Collegiate Baseball League provides family-friendly and affordable fun for its host communities in a minor league-style setting. Learn more at www.TheFuturesLeague.com.